Digi-Schlock: HALLOWEEN III: SEASON OF THE WITCH (Scream Factory Blu-Ray) – Schlockmania! Horror fans are nothing if not optimists when it comes to special editions. Whenever a home video label asks them for requests, they’ll immediately bypass obvious hit-movie picks and go right to their personal lists of underground cult favorites. That said, they have a good reason to be so optimistic: out of all cult-movie genres, horror has an unusually strong history of getting special edition DVD’s and blu-rays for titles that the general audience forgot decades ago (often because t he people making those decisions are fans like them). The faithful know if they are patient enough, virtually any forgotten gem has a chance at getting a special edition with all the bells and whistles. 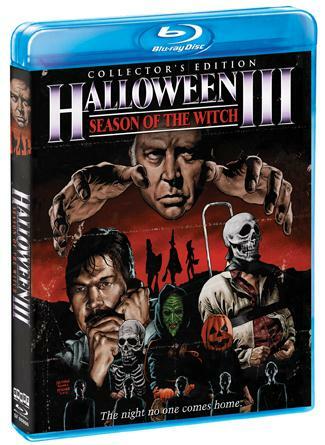 And that brings us to Scream Factory’s new special edition blu-ray of Halloween III: Season Of The Witch. Wrongly vilified by critics and many horror fans during its original release because it was connected to a popular existing series, this eccentric but highly rewarding outing has slowly built a strong cult since then. This new special edition does a great job on two fronts: it gives fans a dazzling-looking new transfer and it also delves into the fascinating story behind this oddity. The fun starts with an excellent new high-definition transfer. The results do well by cinematographer Dean Cundey’s effective use of shadows, delivering the shadowy night scenes and interiors with the same ri ch color and detail levels that it applies to the brighter scenes. In terms of audio, there is a Dolby Stereo 2.0 mix is given a lossless “True HD” presentation. The mix works well and makes an excellent use of the shivery synth score by John Carpenter and Alan Howarth. Some fans might be disappointed by the lack of a 5.1 remix but the 2.0 mix is pretty strong on its own terms. There’s also a jumbo-size set of extras for Halloween III fanatics to dig into. The stories begin with a pair of commentary tracks. The first features writer/director Tommy Lee Wallace, who is aided by Robert V. Galluzzo and Sean Clark of Horror’s Hallowed Grounds fame. The tone is laid back, with Galluzzo and Clark priming Wallace with questions as he lays out his memories of the shoot in a self-deprecating style. He’s quick to give others credit for their ideas and also criticizes his own work but he responds nicely to the fannish enthusiasm of the moderators. He also talks a lot about his working relationship with John Carpenter. 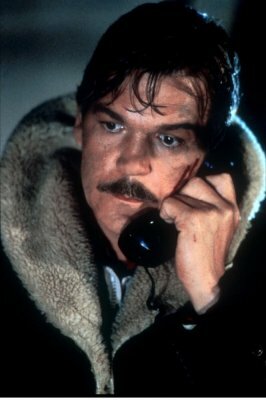 Clark’s presence sparks a lot of talk about locations and his hero worship of Tom Atkins will make any Halloween III fan smile. The other commentary pairs star Tom Atkins with moderator Michael Felsher, who also produced the making-of featurette for this edition. Atkins is a genial type and that quality shines through on this track while Felsher makes an excellent foil, supplying his own gregarious film-geek style that mixes well with Atkin’s unpretentious approach. Better yet, their chat ensures that there is minimal overlap by devoting the latter two-thirds of the track to a casual overview of Atkins’ career, including lots of interesting material on the likes of Harry O, The Ninth Configuration and My Bloody Valentine 3D. If you’re a fan of Atkins – and you probably are if you’ll buy a blu-ray of Halloween III – you’ll love every moment of this track. The main bonus features area provides a wealth of additional material. Fans will be amused by a theatrical trailer and some t.v. spots, all of which prove that Universal had no idea how to sell this odd duck of the horror genre. There’s also an animated image gallery that offers a variety of color and black-and-white stills, including a couple of eye-catching cheesecake shots of Stacey Nelkin. That said, the big draws beyond the commentaries are a pair of swell featurettes. The first is an installment of Horror’s Hallowed Grounds that focuses on Halloween III, capturing virtually all the film’s major locations. As usual, Sean Clark makes an affable host, even when dealing with a heckler in one memorable bit, and Tommy Lee Wallace also joins in the fun. The o ther featurette is a making of piece entitled “Stand Alone” – and it’s a motherlode of trivia and historical info for Halloween III fans. 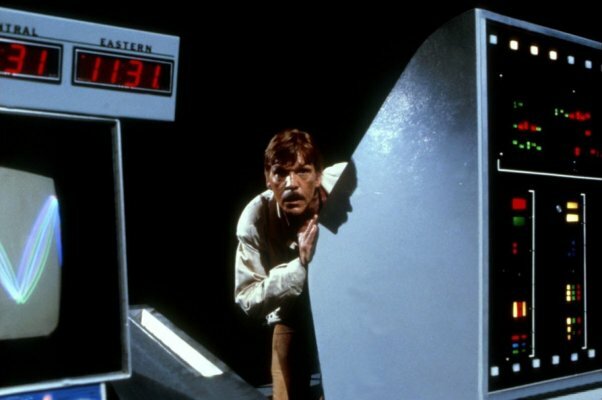 Wallace and Atkins anchor the piece and there is also commentary from Stacey Nelkin, composer Alan Howarth, producer Irwin Yablans, cinematographer Dean Cundey and more. 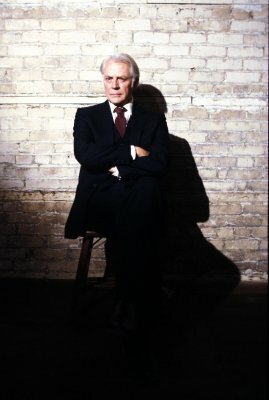 It covers a lot of material fans have wanted to know for years, including why the film’s unique plot was shoehorned into a Halloween sequel slot, Nigel Kneale’s role in the film’s conception and, of course, how the film’s maddeningly infectious “Silver Shamrock” jingle came to be. The stories fly fast and furious, the personalities are all engaging and Andrew Kasch’s editing cleverly deploys clips from the film to provide a witty counterpoint to the tales being told. In short, this is the disc that Halloween III fans have been praying for since digital home video formats came into being. Scream Factory has produced another winner that can sit proudly next to its Halloween II special edition – and its quality shows that horror fans have a new and very resourceful friend who can make their cult movie special edition dreams come true.